The Green Flash J/70 North American Championships wrapped up this weekend after four days of fierce competition in San Diego, California. 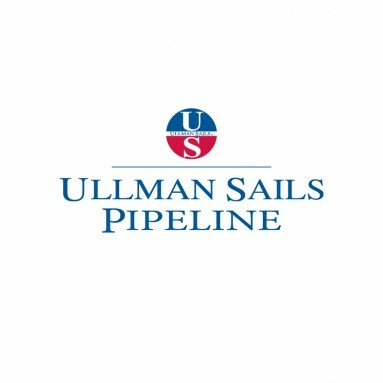 Erik Brockmann of Ullman Sails Mexico, Scott Steele of Ullman Sails Annapolis and Greg Koski of Ullman Sails Cleveland sat down to reflect on the event, and how the fleet was pushed to sail at peak performance. From the results it’s clear that the competition was intense. Everyone on the podium had at least one double-digit finish in the event. How was it to sail in such a competitive fleet? Erik Brockmann (EB): I think the top boats really did an amazing job being as consistent as they were given the light conditions. They did it right, focusing on being in the top 10 every race instead of trying to win every time, knowing that there was no discard to fall back on. On our team the expectations were high, especially given our performance at the Worlds, but we knew right from the beginning that the racing would be tough. I think that the light winds made it hard for everyone, especially the tacticians. Scott Steele (SS): Mixing with the top guys who have World Championship titles or Olympic medals was really cool. I think you’re always learning more when you’re getting a little beat up. In a fleet as competitive as the J/70, you’re motivated to do well. You take extra time to tune-up with other boats and check the currents on the course. How was the learning curve over the course of the regatta? 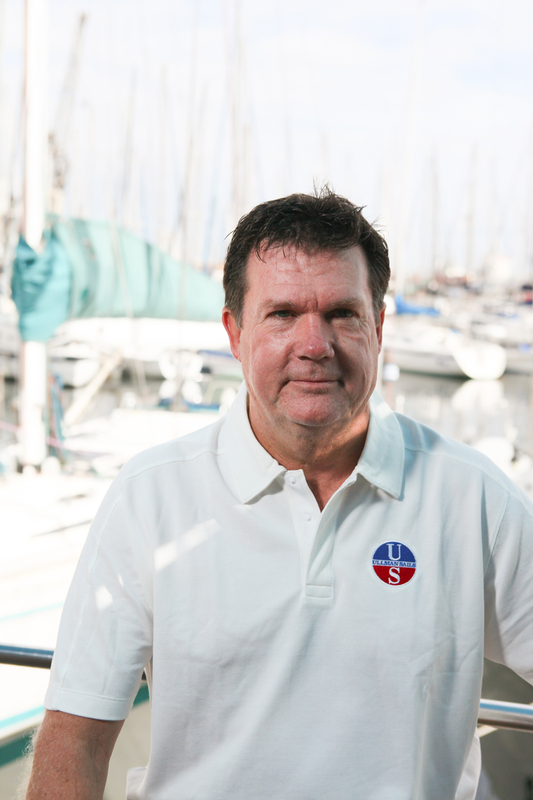 Greg Koski (GK): It’s like any regatta, you need to keep changing and adapting to the conditions you’re dealt. In order to stay on top of things we made sure to get to the course early to work on our speed and adjust our sail settings; we also sailed the beat and the run ahead of the starts so we could develop a game plan before the actual races. By doing the extra work we were able to learn and adapt throughout the event. EB: On my team we probably have more than 50-60 days sailing together. Most of that time has been spent sailing in breeze over 10 knots, so we were making a lot of adjustments on the rig, trying new setups. With such light air you really had to start getting the boat going at least 30 seconds before the gun to be at full speed at “go”. In the early races we started at 15-20 seconds before go, and of course that was not enough time to be fast off the line. As the Championships got under way we adapted and were a little more aggressive on the sides of the line, which worked well for us. What did you see as the key to doing well and improving on your results day-to-day? GK: I saw the key as keeping your head in the game. Not letting a bad day get you down. To be sure to improve we also made an effort to discuss the problems and mistakes we made after each race to avoid repeating them. I think the most important strategy was to stay consistent and minimize risk, especially because the event didn’t have a throw-out. It was not all about winning the race, it was about not tossing a race out the window – a 10th, 12th, or 15th was fine, just stay out of the 30s and you could stay in the hunt. You also needed to have good starts and keep the kelp off the boat. SS: A key for everyone in the fleet was learning how to recover from a challenging start in such competitive, tight racing. And, as Greg mentioned, focusing on being consistent instead of taking risky flyers. You could do this by understanding the course and what was likely to happen next, knowing when to hold in your lane and when to tack. Once you were on your toes, attacking and not reacting, you could get out to clear air, off to the favored side, gain a little leverage, and then all of a sudden you would pickup a lot of boats. The event saw the fleet race outside all four days. What did you think of the course? EB: I think the conditions were tough outside, but that they made for a better event. 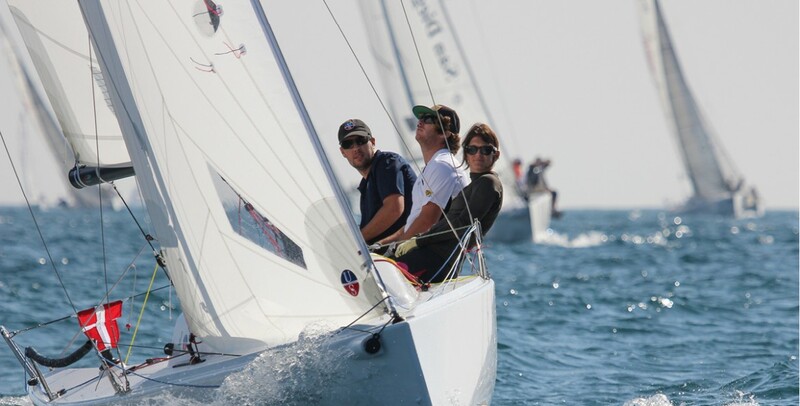 As sailors we prefer to compete on more challenging courses, not formulaic ones. Here you had light wind, lots of large shifts, current, and kelp (especially on the third day with big patches). The course was made even more difficult as it wasn’t one-sided. We saw good lefties and righties throughout the event, and I think that was mainly because of the light wind conditions. GK: As Erik said, the regatta was sailed in light breeze, which when combined with some big tides and tricky currents made for a tough course. 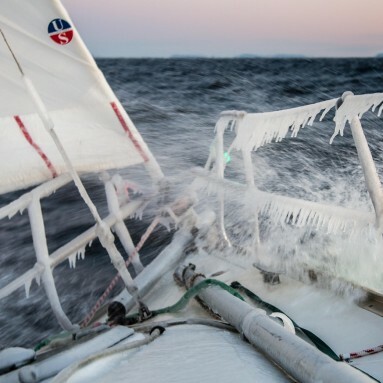 Depending on where you were on the course, or the time of day, the breeze might outweigh the current and you would focus on sailing in the most pressure. At other times you focused on finding current relief. It was very tricky not to get caught on a side and pushed out too far – course awareness and leverage played major roles in your success in any given race. Starting was crucial in the event – how difficult was starting? How aggressive was the fleet? EB: I think the starts were, with no throw-out, actually more conservative in terms of pushing the line than in other regattas. If you had an OCS it was essentially the end of the event for you. However, the teams being more conservative in their final approaches made it harder to get the speed you wanted, and ultimately more challenging to get going as you were so focused on not being over early. Then there was the fact that the wind would shift, sometimes from 240° to 280° on the starting line. We never felt comfortable starting only on one end of the line. GK: The starts were another key to winning the event and staying consistent with good scores. The fleet was aggressive on the line because of the light winds, if you couldn’t get off the line with speed the race could be over before it began. As a result most boats picked their spots and defended them early. If you could start in the middle and cross you were golden, the same went for the pin end. The key was to start on the favored end of the line and, in most cases, cross the fleet at the first opportunity.